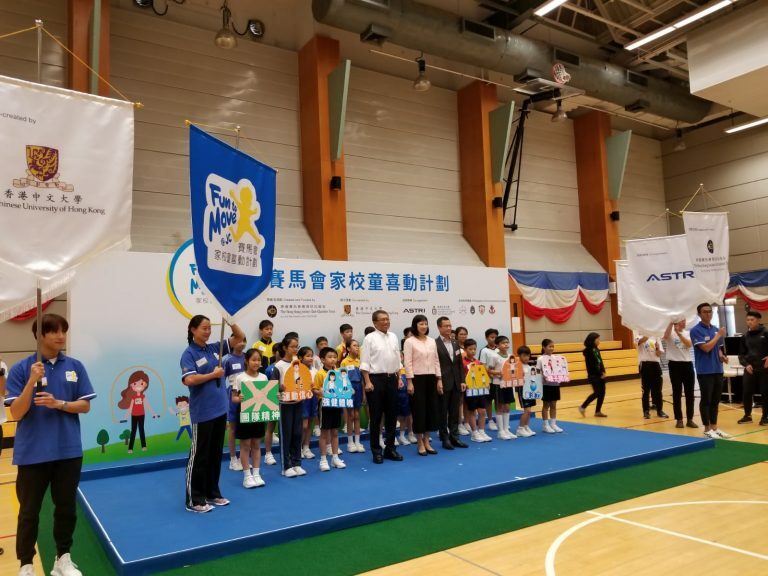 ASTRI recently partnered with the Hong Kong Jockey Club (HKJC) and the Chinese University of Hong Kong (CUHK) in the ‘Fun to Move @JC’ initiative – a five-year pilot programme to develop a sustainable model that enhances primary students’ physical activity level. The programme will aim to improve the students’ efficiency and motivation in sports through creating systemic changes in their lifelong attitude and habits related to physical activities. 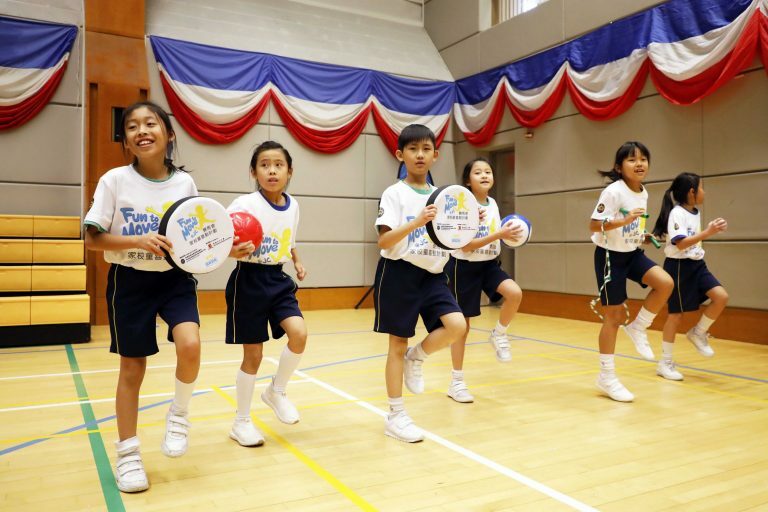 The ‘Fun to Move @JC’ initiative serves over 30,000 students from 35 primary schools in Hong Kong. In the long run, we hope the valuable experiences we can accumulate from this pilot could be further developed to facilitate the development of positive behavioural and psychosocial well-being of students in Hong Kong. Fun to Move@JC was officially launched on 8 November 2018. Ms Michelle Li – Director of Leisure and Cultural Services Department of the HKSAR Government, Professor Rocky Tuan – Vice Chancellor and President of CUHK, and Mr Leong Cheung – Executive Director (Charities and Community) of HKJC officiated the launch ceremony. Mr Andy Lam – Director of Mobile and IoT Platforms, represented ASTRI in the event. ASTRI, along with the Hong Kong University of Science and Technology, is one of the co-organisers of the Fun to Move@JC programme created jointly by HKJC and CUHK.